2018 is only the second time for the Symposium to be held at Maris Stella, Long Beach Island, New Jersey. But it is not the first Symposium on the topic (the integration of academic research with a Taijiquan Festival or Qigong Retreat). The first event that influenced this Symposium was the Zheng San Feng Festival held on Tai Chi Farm. Starting back in the 70's, and hosted by Master Jou Tsung Hwa on his Warwick, NY farm, it was an annual gathering of T'ai Chi Ch'uan Enthusiasts the like of which was not seen elsewhere. He wrote The Dao of Taijiquan: Way to Rejuvination . Also, though Master Jou Tsung Hwa was a Chen Style Tai Chi Master, he believed that all styles had something to offer. He also had a large following because he taught Tai Chi at Rutger's University in New Jersey (where he was a highly renowned Math professor who had written several mathematics textbooks). Master Jou would invite dozens of others to come and do workshops at the Farm during the first weekend of June every year. Those of us lucky enough to know about it would drive up and pitch a tent, pay a nominal fee (around $100) for the weekend, and attend morning-to-night workshops of all types and styles. It was a festival of festivals for those of us who practiced Taijiquan. Master Jou's legacy carries on in three different Tai Chi events which are still going on today: 1) This one, the Symposium for Integrative Health, Tai chi, & Qigong the first weekend in September; 2) Tai Chi Gala & Intuitive Arts Retreats in the Poconos , the first weekend of June, and Master Jou Tsung Hwa's Birthday Celebration the second weekend in July. That was before, when only anectdotal evidence of Taiji existed. Modern medical science has begun to focus on whether Taiji and Qigong and other Integrative Health Practices are actually effective in improving health, or just another crackpot therapy. Two events drew the world's attention to the topic within the last decade. The first was the International Taijiquan Forum (ITF) held at Lakehead University in Thunderbay in Canada in July of 2006 (http://www.taijiforum2006.org). The second was the International Taijiquan Symposium (ITS) held in July of 2009 at Vanderbilt University in Nashville Tennessee. 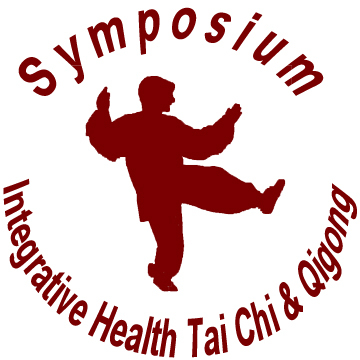 These two academic events forever changed our understanding of Tai Chi and Qigong by emphasizing the amount and quality of research in the field of health. Admittedly, academics was not the major draw. People came from all over the world not for research, but because the top lineage holder of each of the five styles of Taijiquan (Master Wu Wenhan, Master Yang Zhenduo, Master Chen Zhenglei, Master Sun Yongtian, Master Ma Hailong) were doing workshops. But the organizers of each of these events had a larger vision than just learning forms. By including both practitioners and medical researchers, they bridged the gap between the anecdotal stories of improved health (which have been around for centuries), and the peer reviewed scientific studies available in the last few years. A rich vein of medical research was presented by these amazing academics. Furthermore, there is a rich history of dozens of different events run by separate-but-co-operative groups around the topic of martial arts, tai chi (or taiji or taijiquan), leadership, corporate wellness, health practices, integrative medicine, health decision making, healthcare innovation, health economics, geriatric health, alternative and complementary health, placebo, nutrition, lifestyle, entrepreneurship, ethics, martial arts, meditative practices, pain management, stress reducing activities, balance, Qigong, Yoga, Pilates, Reiki, Meditation, Physical Therapy, Energy Exercises, Bodywork, Massage Therapy, Support Group Therapy, Cognitive Behavioral Therapy, Chiropractic, Acupuncture and/or any other evidence-based healing practice. The organizers of this event will be building on the rich history of Taiji, Qigong, and other Festivals and Conferences, as well as the rich history of Symposiums with their focus on medical research of Integrative Health Practices. We hope you will join us.